Calling all Pokémon trainers: demos of Let’s Go Pikachu and Let’s Go Eevee are headed to select locations across North America! Nintendo of America and The Pokémon Company International have kicked off the Pokémon: Let’s Go, Road Trip! tour, with playable demos for the upcoming Pokémon Let’s Go, Pikachu! and Pokémon Let’s Go, Eevee! for the Nintendo Switch. 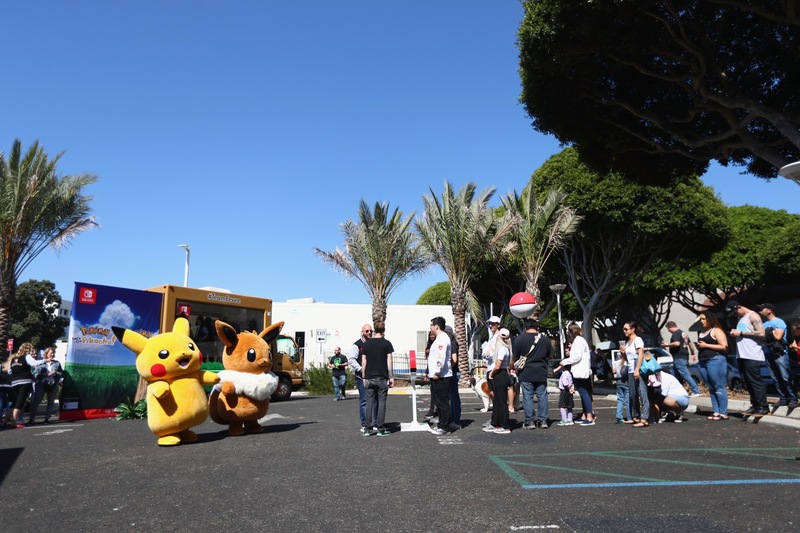 Starting with an event held at Los Angeles today, co-hosted by recording artist and actress Jordin Sparks, the tour events are a great chance to try the games out, snap a pic with Pikachu and Eevee, and “land some sweet Pokémon swag”. Not only that, but a unique Snapchat filter will be available for attendees, and Pokémon GO fans can also look forward to increased Pikachu and Eevee spawns. It’s a good opportunity for their respective candies! Following the Los Angeles event, Pikachu and Eevee will next appear at San Francisco on October 6 at 4 Embarcadero Center, and then Seattle on October 13 at Westlake Park. Other locations include Dallas, Topeka, Boston, and New York, with specific locations to be announced. 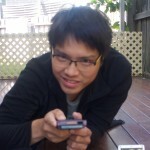 The schedule will be regularly updated via Nintendo of America’s website. So, are you going to make your trip across America to be one of the first to play the games? REDMOND, Wash.–(BUSINESS WIRE)– Calling all Pokémon Trainers! Nintendo and The Pokémon Company International just unveiled a special opportunity to play the Pokémon: Let’s Go, Pikachu! and Pokémon: Let’s Go, Eevee! games for the Nintendo Switch system before they launch on Nov. 16. The cross-country Pokémon: Let’s Go, Road Trip! 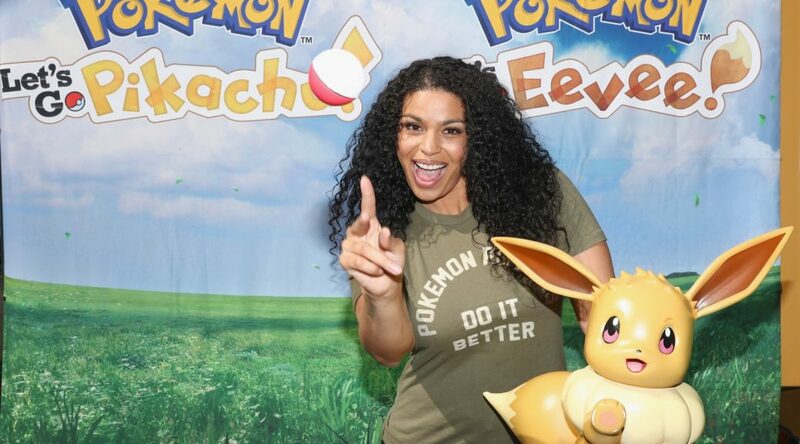 tour kicked off today in Los Angeles with multi-platinum recording artist, actress and self-proclaimed Pokémon fan Jordin Sparks, who joined hundreds of fans to play the new games and mingle with Pikachu and Eevee in person. Over the next two months, fans across the United States will have a chance to visit this colorful pop-up tour, featuring Pikachu- and Eevee-themed trucks, fun photo opportunities, special giveaways (while supplies last) and demos of the Nintendo Switch games. The game demos will also feature the Poké Ball Plus accessory, a new controller compatible with the games that looks and feels just like a real Poké Ball. Each stop on the tour will feature an exclusive (and adorable!) Pokémon Snapchat filter that can only be accessed at the event locations, and Pokémon GO players may even notice a higher frequency of Pikachu and Eevee sightings near the events! The Pokémon: Let’s Go, Road Trip! will visit seven additional cities across the country, culminating with an epic midnight launch event at Nintendo NY on the evening of Nov. 15. As a celebration of the very first introduction of Pokémon in the U.S., one of the tour stops will be in Topeka, Kansas, which was the site of the launch event for the original Pokémon Red and Pokémon Blue games for the Game Boy system – almost 20 years ago! Oct. 6, 9 a.m.-6 p.m.
Oct. 13, 9 a.m.-6 p.m.
Oct. 20, 9 a.m.-6 p.m.
Oct. 27, 9 a.m.-6 p.m.
Nov. 3, 9 a.m.-6 p.m.
Nov. 10, 9 a.m.-6 p.m.
For specific time and location details, please visit https://www.nintendo.com/switch/events. Eagle-eyed fans might notice that many of these tour stops are located near popular Pokémon GO PokéStops or Gyms. That’s not a coincidence, as players can bring select Pokémon from Pokémon GO to Pokémon: Let’s Go, Pikachu! and Pokémon: Let’s Go, Eevee! Players can transfer Kanto-region Pokémon – including Alolan and Shiny variants – that they’ve caught on their mobile devices in Pokémon GO over to the Nintendo Switch games to take them on a new adventure. Fans visiting the Pokémon: Let’s Go, Road Trip! are encouraged to catch some wild Pokémon on their smartphones while they wait to demo the Nintendo Switch games. In Pokémon: Let’s Go, Pikachu! and Pokémon: Let’s Go, Eevee! players take on the role of a female or male Pokémon Trainer and set off on an adventure with their partner Pokémon – either Pikachu or Eevee, depending on what version of the game they play. Players will go on a new journey through a familiar setting as they explore the Kanto region to capture Pokémon and battle other Trainers. They can even share the journey with a friend in two-player co-op mode. When playing with the Poké Ball Plus accessory, which is sold separately or included with one of the announced bundles, players can make a gentle throwing motion to feel like they are really catching Pokémon. Pokémon: Let’s Go, Pikachu! and Pokémon: Let’s Go, Eevee! launch exclusively for Nintendo Switch on Nov. 16. A bundle that includes one of the two games and the new Poké Ball Plus accessory launches at a suggested retail price of $99.99. On the same day, a special bundle featuring a Nintendo Switch system with themed Joy-Con controllers, download codes for either the Pokémon: Let’s Go, Pikachu! or Pokémon: Let’s Go, Eevee! game and the Poke Ball Plus accessory comes to stores at a suggested retail price of $399.99. For more information about Pokémon: Let’s Go, Pikachu! and Pokémon: Let’s Go, Eevee!, visit https://www.pokemon.com/PokemonLetsGo.